Unemployment Insurance (UI) is a state and federal partnership program. Every state administers its own program, each with exclusive state laws and regulations, in conjunction with established Federal guidelines. Eligibility conditions differ from state to state. Benefit amounts and length of benefit availability are determined by the state in which unemployment insurance benefit claims are filed. Before applying for unemployment compensation there are a number of criteria you must meet. 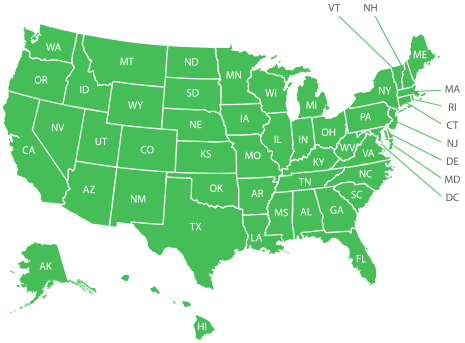 While there may be slight variations in every state there are common standards that apply to unemployment insurance nationally. You cannot be at fault for your separation from employment. You must meet a minimum wage requirement of earnings during the “base period”—the first 4 full quarters of the previous 18-month period prior to your unemployment claim. You must be partially or entirely unemployed but ready and able to work. There are certain factor and circumstances that could cause your unemployment application to be denied. Some issues are easily corrected, but even the slightest question about your claim will delay processing time, and if issues are not resolved sufficiently, you could be disqualified from collecting benefits. Common issues are missing or incomplete information, or the inability to properly document proof of claims made on an application for unemployment compensation. If there is any suspicion of fraudulent information on any claim filed, it will be fully investigated. If fraud if proven, your unemployment claim will not only be disqualified, you could receive penalties of up to $5,000 in fines, and 5-years imprisonment. You must also be able to show proof of identity and ability to work within the United States. If your identity cannot be proven by means of acceptable documentation, you cannot claim benefits until proper proof can be supplied. You must also show proof of military service or Federal employment when filing a claim. When submitting an unemployment, eligibility is determined by calculating all wages earned during the first four of the last five calendar quarters—18-months of past work history. Generally, the most recent quarter does not qualify, but must be included in your application along with corresponding documentation. You are required to provide information on all of your employment covering the previous 18 months prior to submitting your claim for Reemployment Assistance. If you only worked for an employer for one hour, or one day, you must report it on the application. All of your employment history will be verified, so it is important to list any and all past employers, even if you think it insignificant. Once you meet all of the above criteria, and have gathered the necessary documents and information, you are one step closer to collecting unemployment insurance in your state. Contact your local Department of Workforce and Labor for specific details and requirements.